The "Safety Well" basement window well covers are designed with "Safety" and "Security" for your home and family in mind. These professional grade lightweight basement window well covers are built using superior impact resistant, UV-protected, polycarbonate sheet plastic riveted to a continuous structural grade aluminum angle rear support. Installing a "Safety Well" basement window well cover over your open basement window well minimizes the risk of persons or animals falling into deep, uncovered, unprotected basement window wells, preventing possible serious injury while also keeping your window wells clear of unwanted debris, animals and precipitation. When properly installed using our optional solid steel "SAF-T Lock" locking system, these covers will support a minimum of 250 lbs. 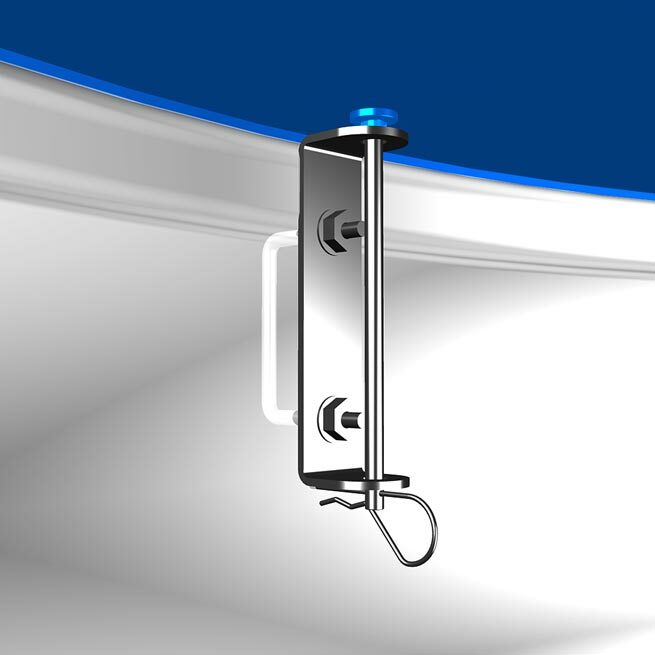 This locking system features a pull pin release that quickly unlocks the cover from inside the basement window well without the use of a tool (required by "IBC & IFC Building Codes") making for a quick and easy exit in the event of an emergency. The model SR400 (41" x 19" Semi-Round) window well cover is designed for use over typical corrugated steel window wells and can also be installed using our "Well Clips" to secure the cover to the rim of the well. After installation, this cover can be trimmed (if needed) to the profile (plus up to a 1" overhang around the perimeter) of any type basement window well (steel, concrete, block, timber etc...) by using an ordinary jigsaw equipped with an aluminum cutting blade (8 to 12 teeth per inch blade for best results) making for a perfect fit window well cover over any type window well. Also see our "Egress Escape Ladders" typically required by code for this size basement window well.